Our knowledge of Ireland and specifically, the Wild Atlantic Way enables us to go to the best beaches, wreck sites, ancient ruins, castles, waterfalls, mountains, rivers and lakes. We will additionally, where possible, visit some of the older pubs which have traditional music and seek out people still involved in traditional farming or fishing practices. 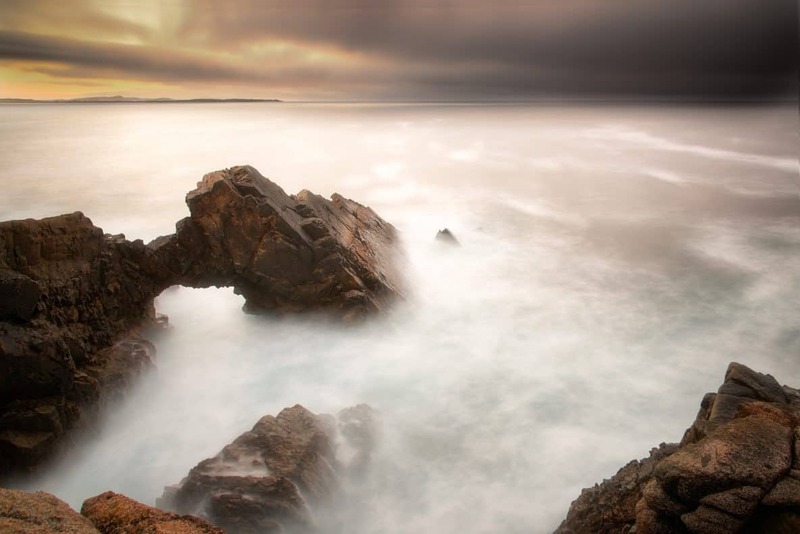 The locations have been selected for their photographic appeal along the highly indented western coastline. The climate is temperate and dominated by the Gulf Stream, with warm, moist summers and mild wet winters. Ireland has an ancient history with remnants of neolithic culture as well as vestiges from more recent times in the form of castles and old estates. It is a place where people have interacted with the ancient landscapes for millennia and it is this fusion, which creates unique photographic opportunities. 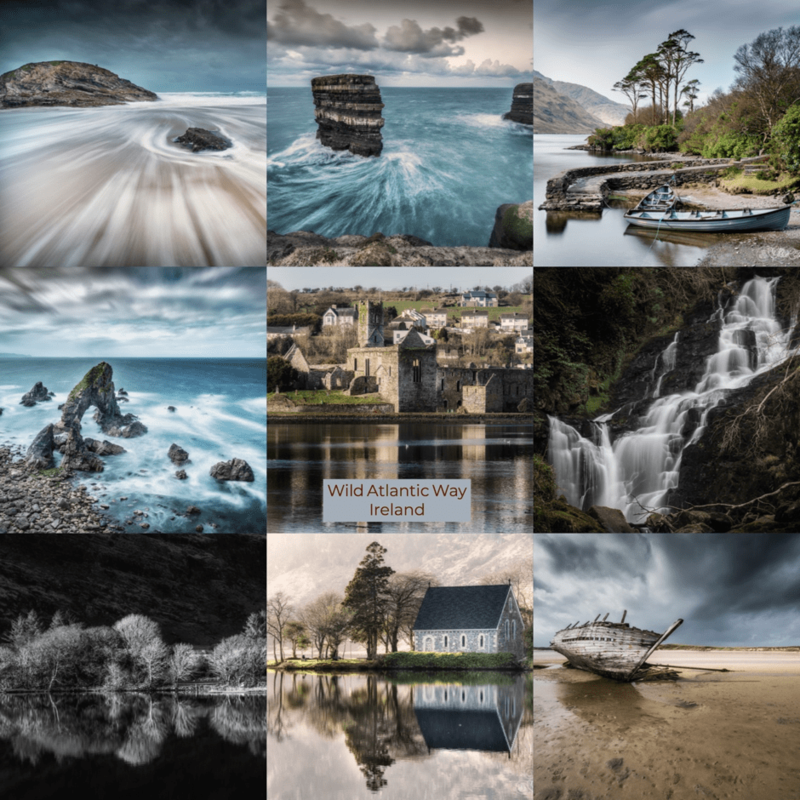 12 Days (11 nights) Wild Atlantic Way photo expedition. Our first night is spent in Kinsale, a beautiful coastal town in South Cork. If there is time you can wander down the harbour and photograph some of the older buildings of British origin and walk along the quay side. Today we drive along the south coast stopping at Timoleague Abbey/Friary, Glandore harbour and Drombeg stone circle which is approximately 3000 years old. From there we journey to the small oratory on Lough Gouganebarra for sunset. This small building has an incredible setting with the hills behind and its position on a small peninsula which juts out into the lough. With a little luck we may go to a ‘Trad Session’ in Ma Murphy’s pub! Overnight at Eccles Hotel in Glengariff. We return back to Gouganbarra (30 minutes) for sunrise and return for breakfast. After which we photograph a small (little known) waterfall at Donemark. The river is known for its salmon leap. In close proximity to the falls there is an old tannery, warehouses and mill, all of which are derelict and reflective of trade and industry now long gone. We then travel through Kenmare and Sneem to Caherdaniel and Derrynane. Here there are beautiful beaches, rock fringed bays and an ancient ruined abbey (10th Century) on Abbey island which we walk across the sand to. Further around the coast there is Loher Stone Fort and Leacanavuile stone fort near Cahersiveen which we will stop at if time permits. Time permitting we may take the route over Moll’s Gap to Killarney and visit Torc waterfall and Ross Castle (we may do these on the morning after). 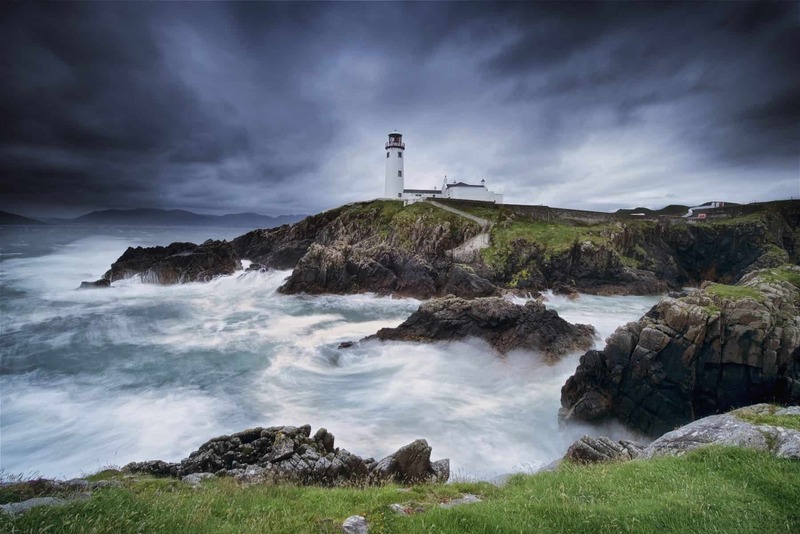 From Killarney we go to the Dingle peninsula stopping at the Fahan group of Beehive huts and Coumeenole beach, renowned for its rocky outcrops and high energy waves. Following this we go to Dunquin pier with a spectacular setting with the blasket islands in the background. After sunrise at Ross castle - this is a long drive (3/4 hours). We will stop on the way at Adare and Bunratty castle. Afternoon in Galway city – browse and chill. Then onwards to Clifden and overnight at The Alcock and Brown Hotel. Taking the road to Roundstone. The Roundstone area is renowned for its white sand beaches. Alliebrack beach and harbour and a visit to the Old Connemara Smokehouse to see them filleting the salmon and smoking them. We stop at Roundstone harbour which is very picturesque, often with piles of lobster pots and old Curraghs on the harbour side. We stop here for lunch (crab claws and a pint if anyone wants?) in O’Dowd’s traditional pub. After sunrise at Derryclare and breakfast, we will set off for Westport. En route we drive through Connemara National Park, Kylemore abbey, Doolough and Glenullin loughs. There is a small lakeside harbour there which is very picturesque. At Westport we venture down to the harbour and some may want a tour of Westport House. Matt Molloy’s Pub is famous for its ‘trad’ sessions so this is an imperative! It is a wonderful old pub which has somehow managed to escape the ravages of 21st Century refurbishment!! An early drive out for Sunrise at Fanad lighthouse, to the East, on the shores of Lough Swilly. Here, if weather and time permits, we can walk to the Great Pollet sea arch. http://www.ireland.com/en-gb/destinations/republic-of-ireland/donegal/fanad-head/articles/waw-fanad-head/ Following this we have lunch at ‘The Singing Pub’ https://www.facebook.com/singingpub and then drive to the Rosguill peninsula to take in the photographic opportunities found along the Atlantic coast. We walk to Murder hole beach (Boyeeghter Bay) which is pounded by high energy waves. The above itinerary is flexible and may change to cope with tide times and Irish weather! Where possible we will go to see traditional music in the pubs and arrange to photograph local farmers or fishermen. Transfer from Cork Airport at the start of the tour and to Carrickfinn (Donegal), at the end of the tour. All transport with 2 people in each car (possibly 3 if the group is comprised of 5 people). If there are 6 people then there will be three cars.